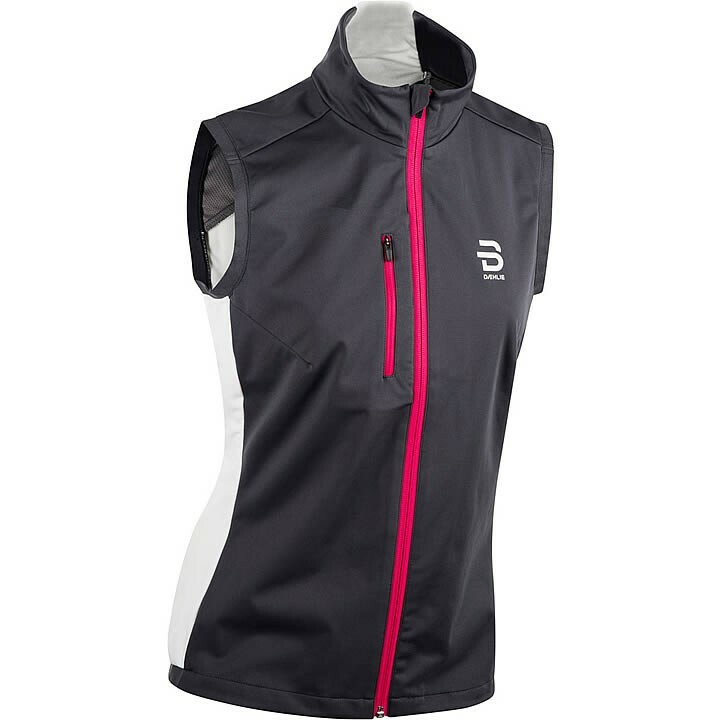 The women's Bjorn Daehlie Endurance Vest is a lightweight, normal fitting training vest that is great for in-between seasons, and when visibility is important. The vest is wind and water repellent in key areas to ensure weather resistance. The lower part is made from lightweight material that increases comfort and mobility. Strategically placed laser-cut perforations provide good ventilation. Elastic stitching on the hem delivers an excellent fit when active. Half of the back, along with key areas of the front, are covered with reflective details for the best visibility when running or walking along roads in the dark. There is also a zipper pocket in the side for small items. Reflective Light weight outdoor vest.